Rewilding Europe has always had a strong Swedish connection. One of our founding partners was Wild Wonders of Europe, registered in Sweden and representing a group of 70 top photographers who provided the initiative with breathtaking images of Europe’s fascinating and often forgotten nature and wildlife. 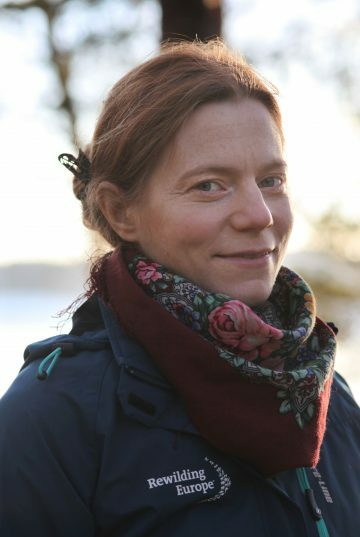 Linnéa Falk started working as the Team Leader of Rewilding Sweden in September 2018. In 2015, the Jokkmokk-registered Rewilding Lapland foundation was established as a Swedish partner to Rewilding Europe. Last year, with the objective of scaling up rewilding activities across the country, Rewilding Lapland was transformed into a new legal entity – the foundation Rewilding Sweden – while still retaining a strong connection to Rewilding Europe. 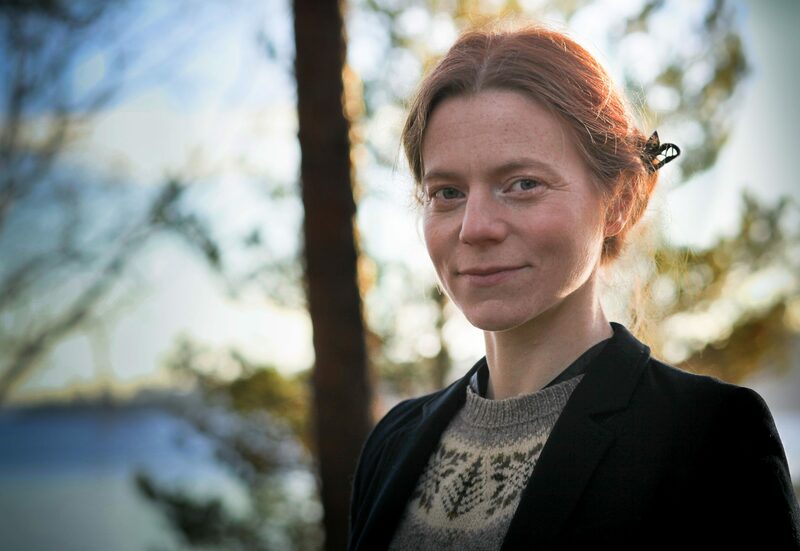 Rewilding Europe is delighted that the Rewilding Sweden team is now headed up by pasionate rewilder Linnéa Falk. A journalist who worked for 11 years at the Swedish Society for Nature Conservation, where she served much of the time as the Director of Communications, she has also been involved with numerous projects working to connect people with nature and organisational development. Rewilding Europe caught up with Linnéa to find out a little more about her, and her reasons for wanting to become part of the Rewilding Europe initiative. Falks first encounter with Rewilding Europe was at the Wild Wonders of Europe photo exhibition in Stockholm in 2013. How long have you been a team leader for? Why did you decide to become involved with rewilding, and how did you first hear about Rewilding Europe? My first encounter with Rewilding Europe was at the Wild Wonders of Europe photo exhibition in Stockholm in 2013, where Rewilding Europe was a partner. The nature of the wild and the idea of rewilding really captured my mind in a surprisingly strong way, considering that I’d been involved with different ecological issues for most of my life until then. But this experience made me realise that the solutions to most of our planetary conservation challenges involve giving wild nature enough space. How would you characterise your rewilding area? What should people who are thinking about visiting know about it? In the Swedish Arctic the landscape is defined by forests, wetlands, tundra and mountains. Here the Euro-Asian taiga meets the Atlantic, separated by the Scandinavian Mountains. Parts of the area have been used for forestry, mining and hydropower, but vast areas are still free from exploitation. The iconic animal is the semi-domesticated reindeer, which undergoes large seasonal migrations. Visitors should know that the area is a part of Sápmi, the land of the Sami indigenous people of Sweden, Norway, Finland and Russia. The apparent wilderness is a not the result of an absence of human activity, but from the traditional, non-destructive way of life of the Sami people. What have the major achievements been in your rewilding area to date? The first two years of the initiative have seen sections of two rivers successfully restored, a strategic project portfolio for the area developed, good relations with key stakeholders in the area established, and a number of nature-based tourism entrepreneurs supported to show the importance of wild nature and wildlife for the local economy. What would you like to see achieved in your rewilding area over the next five years? I would like to see forestry, mining and infrastructure planning will take reindeer migration into account far more than today, with green-blue corridors connecting high areas with the Baltic Sea. Obsolete dams will have been removed so that life can start returning to rivers, drained wetlands will have been restored, and extensive areas of forest protected and rewilded. The local population of Arctic fox will be on the road to recovey, and we will have begun to explore whether muskox can coexist with reindeer in the mountains. We will have developed new nature-based business models for the area, with the overall result that more wild nature is protected from destructive exploitation and people are benefiting sustainably from wildlife comeback. What’s your favourite animal, and why? It’s impossible to choose just one – I find myself fascinated by the abilities and attributes of all living creatures. But I could mention some of the fascinating animals which surround the place where I live: the cute and clever red fox, beautiful and shy deer of various species, the ingenious beaver and the athletic boar. Their presence reminds us, in the local community, that we share this place with many, many others. Learn more about the Lapland rewilding area here. Experience the Lapland rewilding area with the European Safari Company. Visit the Rewilding Lapland Facebook page here.